Here’s a map of the university’s Collegiate Crescent campus. Lab4Living and Design4Health are based at Sheffield Hallam University in the heart of the country in Britain’s fifth largest city. The conference is hosted by the Lab4Living team based within the Art and Design Research Centre. 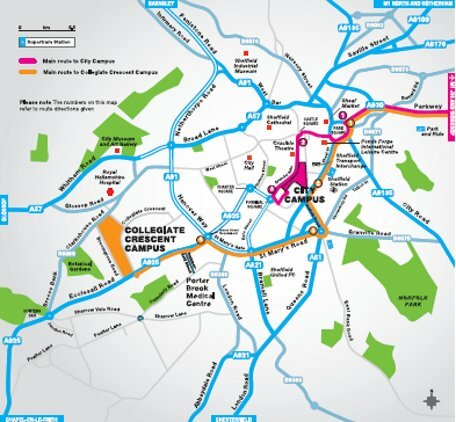 Our health specialist colleagues are based at the University’s Collegiate Crescent Campus 1 mile from the city centre.